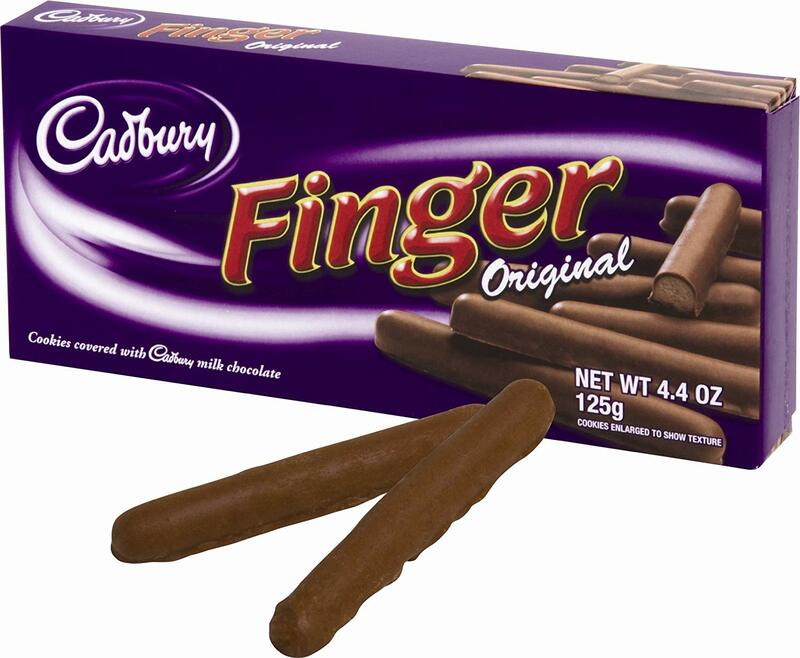 Our grandchildren have a weakness for Cadbury’s chocolate fingers. Not wanting them to develop any addictions, they have only been an occasional treat. A few months ago, I bought them for less than $3. When I looked for them again a few days ago, they had gone up to $6.75. The only reason I can think of to explain that jump is an increased tariff on imported chocolate (they are produced in the United Kingdom). The dispute is between the US and the EU, of which the UK remains a member for another seven months. Hopefully, after Brexit the price will come down. Yesterday, I checked at WalMart, where I got them for less than $3 earlier this year. They are no longer selling them. They have also stopped selling Tim Tams from Australia. Armageddon must be close – that’s all I can say! Request: if anybody lives in the Cincinnati area, could they please check availability and price next time they visit Jungle Jim’s? Talking of Brexit (and food), you would think the British didn’t eat before they joined the European Union. Those opposed to leaving the 27-nation EU are attempting to scare the general population, saying that there will be food shortages and their prescriptions may no longer be available. For the record, the United Kingdom was the world’s most successful trading nation in Victorian times. They continued as a major trader right up until they entered the EU in 1973. Prior to that ill-informed decision, major trading partners included the Commonwealth (former British territories), the United States and EFTA (European countries that were not a part of the EU). Food was a lot cheaper than it is now. The UK, Australia, Canada, New Zealand and South Africa had a preferential trading agreement, which ensured cheap food for the mother country and gave preference for British exports. Withdrawing from this agreement was one of the biggest mistakes Britain ever made. Britain Ramps Up Preparations for No-Deal Brexit: The U.K. government on Thursday published advice for British businesses on how to prepare for an abrupt and messy break with the European Union, a move aimed at underscoring to Brussels that it is serious about walking away from talks if it doesn’t get a satisfactory deal. Thanks to Brexit, there’s a great deal of political instability in the UK right now. Theresa May seems unlikely to be able to deliver a “deal” with the EU, while satisfying those who want to leave. Attempting to do so is really a contradiction! According to one paper earlier this week, over 100 Conservative MPs are ready to rebel over this. That could mean a coup against Mrs. May, replacing her with somebody more to their liking. Boris Johnson is still the favorite. Mr. Johnson is more conservative than Mrs. May and does not want to compromise with the EU. Don’t assume this won’t happen. I woke up this morning to find a similar “coup” took place in Australia on Friday (the day is already over in the Antipodes). Malcolm Turnbull, leader of the governing Liberal Party (the Conservative Party of Australia) has been ousted and replaced with Scott Morrison. The latter is more conservative than the former. Canada is also going through some political turmoil, as Maxime Bernier is quitting the Conservative Party and forming his own party dedicated to “more freedom, less government.” In recent weeks, he has launched Twitter attacks against PM Justin Trudeau’s “extreme multiculturalism” and immigration policy, according to the BBC’s website this morning. Mr. Trudeau, the country’s prime minister, is a Liberal who has welcomed thousands of Muslim refugees from the Middle East. The Conservatives remain in opposition, with an election expected late next year. The UK, Canada and Australia all share a common heritage and remain members of the Commonwealth. With a very different political system, the United States is also going through a great deal of internal turmoil after two of President Trump’s former political associates were found to be breaking the law. The implication is that the president did likewise. Calls for his impeachment are growing. I don’t think this will happen as the Republicans control both houses in Congress and President Trump has a very loyal support base. “The Lord says: I am furious! And I will use the King of Assyria as a club.” (Isa. 10:5; Contemporary English Version). Europe should scale up military spending in order to act as a counterpoint to an unpredictable and unreliable United States, the German foreign minister said in an op-ed Wednesday, an unusually forthright criticism of U.S. foreign policy by a senior political figure in Europe. In the German newspaper Handelsblatt entitled “A New World Order,” Heiko Maas said that Europe and the U.S. have been drifting apart for years. Instead of waiting for Trump’s presidency to end, he argued, Europe should take an “equal share of responsibility” globally. The country’s $299 billion surplus is poised to attract criticism, however, both at home and internationally. Germany is expected to set a €264 billion ($299 billion) trade surplus this year, far more than its closest export rivals Japan and the Netherlands, according to research published Monday by Munich-based economic research institute Ifo. “The US President has triggered a bitter trade war with the likes of Europe, China and Canada by imposing huge import tariffs on a number of goods, including steel and aluminum. He has accused them of unfair trade practices and insists the tariffs are aimed at protecting American jobs. “Speaking to German newspaper Bild am Sonntag, Economy Minister Peter Altmaier took aim at the US President, claiming consumers were taking the brunt of his import tariffs because they are driving up prices. The security community has become unnerved in the face of Donald Trump’s threats, and some are thinking the unthinkable.